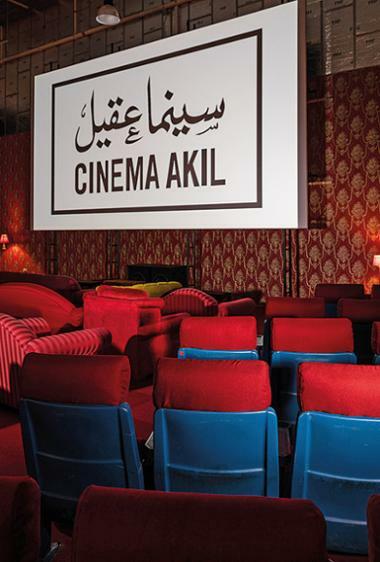 I meet Butheina Kazim in the dimly lit, rose-red interiors of the very romantic Cinema Akil in Al Serkal Avenue. Kazim has had a busy start to the year. She’s been on the festival circuit — the Sundance in Utah, the Berlinale in Germany, the European Film Market and a host of other arthouse events — and seems happy to be back where her heart is. 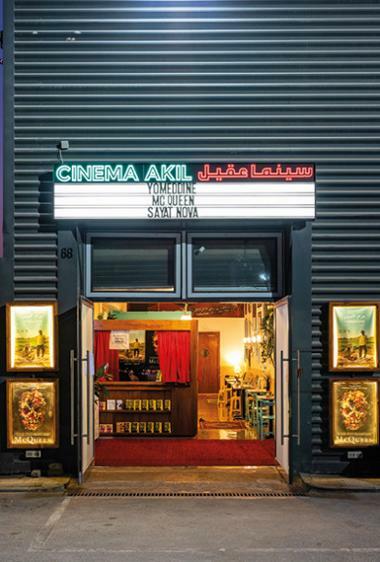 Her gorgeous silhouette complements the dark red-and-gold wallpaper of the warehouse that houses Cinema Akil, the only arthouse cinema in the region. 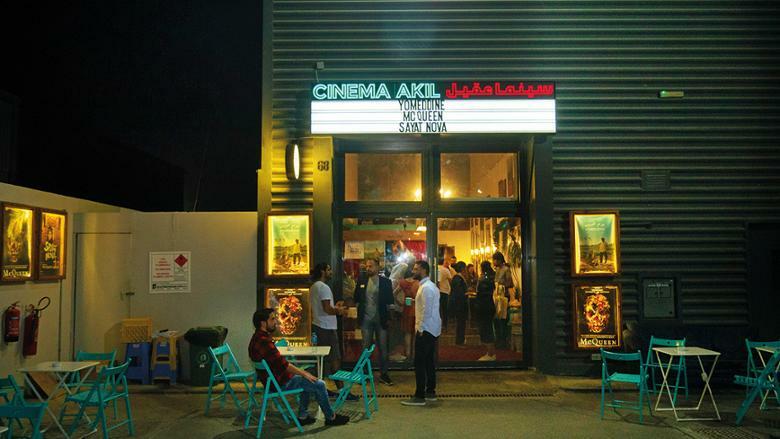 It has shaped up beautifully since its opening in 2014 and has now earned her a steady flow of cinephiles who queue up to watch the seven and nine o’ clock shows every weekday evening. I see a good mix on offer: There’s Faces Places, a French documentary being screened, the cult classic The Rocky Horror Picture Show and Arabic drama Wajib. Everything about the 133-seater cinema sparks a nostalgia about the theatres of the 70s and 80s, a place of magic, of that willing suspension of disbelief we indulged in as we grew up and maybe even now. ‘Everyone has family and everyone has cinema,’ she tells me. ‘Whether you choose them or not, they come into your life, and change the way you see the world,’ she says as we sit down for a free-wheeling chat on what it takes to step off the conventional approach to business and let your passion guide you. For Butheina that passion is cinema and it is evident in the space she has created. From the cool art deco posters that adorn the corridors leading to the theatre, the blue-bordered red vinyl seats she has retrieved from the Plaza (later Golden) cinema of Bur Dubai (the oldest single-screen standalone cinema in Dubai that was taken down to make way for a hotel), she hopes to create a sense of wonder and awe that single screen cinemas of yore had. The success of the first pop up gave Kazim the push to do more pop ups from 2015-17 in different places in the UAE. 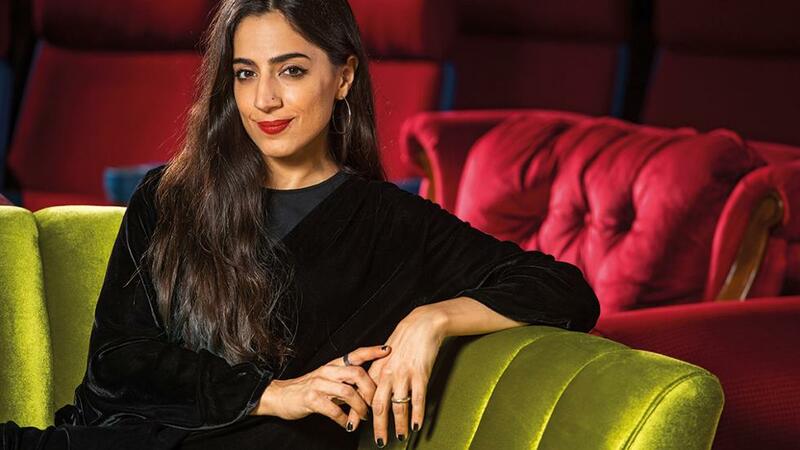 ‘The pop ups were mostly art house films and we tried different settings, such as cinema under the stars during the outdoor season,’ she says. So now that the lights are on, and the feedback has been more than assuring, how does it feel? ‘Oh it’s such a relief,’ says the 34-year-old Butheina. ‘We were always there but now we have finally opened doors. The dim lights and the red room evoke a bygone era but the technology is new and the food is comforting. We don’t promise a Gary Rhodes-like afternoon tea and film experience, it’s very chilled with the chai, salads and wraps.’ That explains the presence of Project Chaiwala, I say. ‘We are fine-tuning constantly, but this place is built on depth. We are committed to the community,’ she adds.